Dona Flor is married to Vadinho, a gambling good-for-nothing who dies young. After being widowed, she marries again with Teodoro, the town’s pharmacist, and an upstanding gentleman. The problem arises when her deceased husband’s ghost comes to “chase” her. Dona Flor é casada com o malandro Vadinho, que só quer saber de farras e jogatina. A vida de abusos acarreta na morte precoce. dele Ela casa-se de novo, com o recatado farmacêutico da cidade, mas o ex-marido retorna em espírito pra matar a saudade. Brazil helped pioneer filmmaking in the Americas, screening its first film in Rio de Janeiro all the way back in 1897, and its first documentary in 1903. 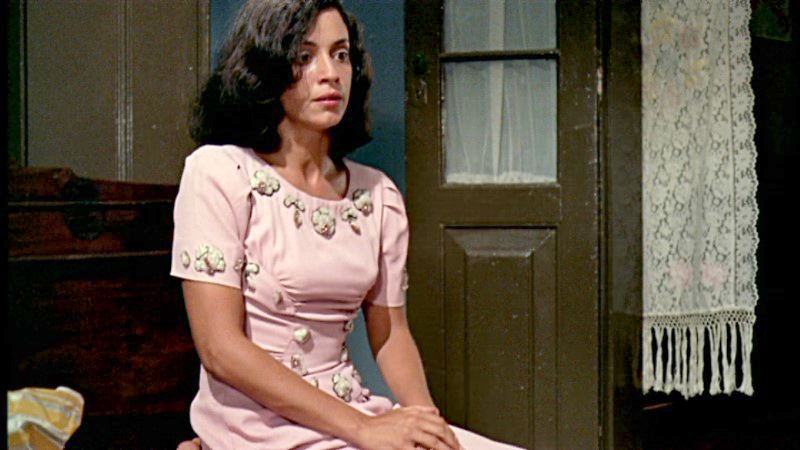 The approach for this series was to strike a balance between art house and commercial film and, by covering different eras, genres and styles, touch upon various cornerstones of Brazilian cinema. Silent film began in Brazil with Antônio Leal’s thriller “Os Estranguladores” (1906); followed by Humberto Mauro’s “Brasa Dormida” (1928) and “Ganga Bruta” (1933); Adalbert Kememy’s avant-garde “Sao Paulo: Sinfonia de una Metropoli” (1929); and Mario Peixoto’s avant-garde “Limite” (1930). In the ‘40s Brazilian cinema became overrun by Hollywood films. Companhia Cinematografica de Veracruz, a replica of the American studio system, produced mostly melodramas – Lima Barreto’s “O Cangaçeiro” (1953) obtained critical and financial success. In the ‘60s a movement called Cinema Novo came to dominate for two decades. A move away from the Hollywood production style, it was led by intellectuals like Glauber Rocha — “Antonio das Mortes” (1969) — who sought to create a distinctly Brazilian mode of filmmaking. In 1967, Ozualdo Candeias’ “A Margem” gave birth to Cinema Marginal, that sought to represent the life of society’s forgotten people. “Cinema Novo was a movie a little individualistic,” said José Mojica Marins, a marginais on his own whose Zé do Caixão (Coffin Joe) horror b-movies would become cult classics. The creation of Embrafilme, a government agency in charge of financing and distribution, allowed Brazilian cinema to flourish during the 1970s and ‘80s. Bruno Barreto’s “Dona Flor e Seus Dois Maridos” (1976) and Carlos Diegues’ “Bye Bye Brasil” (1980) belong to this period. Embrafilme’s dissolution in 1990 nearly stopped cinematic output in Brazil altogether. Still, figures like Walter Salles, Fernando Meirelles and Karim Ainouz — “Madame Satã” (2002) — were able to produce films despite the adversities. We are accompanying the series with shorts by three emerging local voices: Carolina Moraes-Liu, Rita Piffer and Savana Vagueiro, along with shorts by renowned Brazilian filmmakers Jorge Furtado, Dennison Ramalho and Carlos Vergara. A lot of voices to choose from that leave the door open for a second installment next year. We hope you enjoy the programs.